Used for String type properties to store and display the URL hyperlink format. 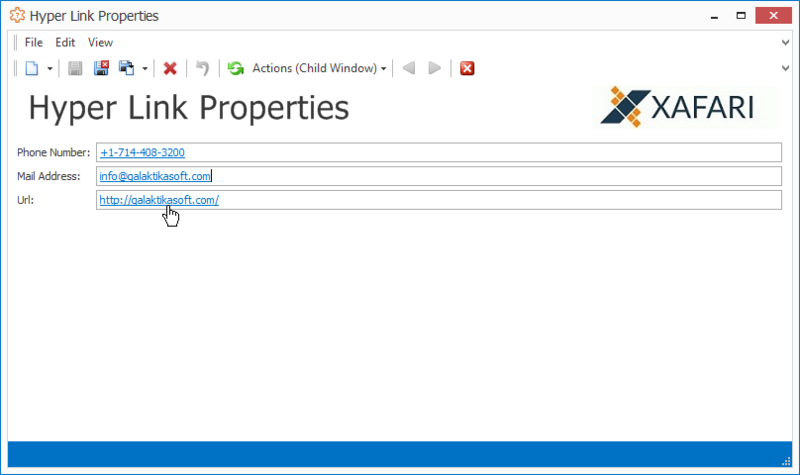 Property Editor provides a correct path for following a hyperlink in the system. 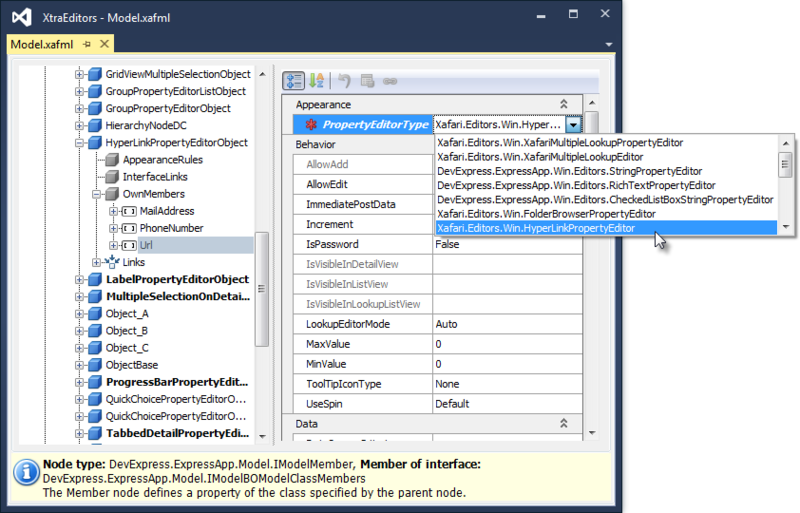 To use this Property Editor, invoke Model Editor and focus the corresponding BOModel|Class|OwnMembers|Member node, set PropertyEditorType property to the HyperLinkPropertyEditor value. To see the result, run the WinForms or ASP.NET application and navigate to the corresponding Detail View. Set properties values and save the object. Use one click to follow the hyperlink on the List View; for Detail View, use a double-click.